Allen M. Chen, MD, will join the UCI School of Medicine as chair of the Department of Radiation Oncology, effective Oct. 5, 2018. Irvine, Calif. – July 11, 2018 – Allen M. Chen, MD, will join the UCI School of Medicine as chair of the Department of Radiation Oncology, effective Oct. 5, 2018. He currently serves as professor and chair of the Department of Radiation Oncology at the University of Kansas (KU) Health System. He is also an associate director of KU’s NCI-designated Cancer Center and serves as director of the department’s residency training program. Chen is board certified in radiation oncology by the American Board of Radiology. As an esteemed researcher and proven leader, he has received multiple honors and awards for research, leadership, patient care and teaching. He has been named among the Best Doctors in America for 10 straight years and is in the process of concluding a two-year term as president of the Association for Directors of Radiation Oncology Programs. 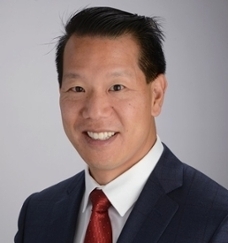 In his new role, Chen will focus on the development of clinical, educational and research programs for the radiation oncology department at UCI, specifically in the areas of improving cancer care, developing new therapies for cancer patients through research, and educating the next generation of outstanding physicians and researchers. Chen is globally distinguished for research in head and neck cancers. He has conducted several important prospective clinical trials, published over 150 peer-reviewed articles, and is an active thought leader in the American Society for Radiation Oncology, SWOG, NRG Oncology and NCI. Chen has a special interest in leadership development and serves on examination committees with both the American College of Radiology and the American Board of Radiology. His position as chair of radiation oncology will be an integral part of the UC Irvine Chao Family Comprehensive Cancer Center. Chen earned his medical degree from Yale University School of Medicine in New Haven, Conn., and completed an internship in internal medicine at Kaiser Permanente Medical Center. He completed residency training in radiation oncology at the University of California, San Francisco and at the M.D. Anderson Cancer Center in Houston. Prior to his tenure at KU, Chen served as professor and vice chair in the Department of Radiation Oncology at UCLA. Each year, the UCI School of Medicine educates more than 400 medical students, as well as 130 doctoral and master's students. Nearly 700 residents and fellows are trained at UC Irvine Medical Center and affiliated institutions each year. The UCI School of Medicine offers an MD degree, a dual MD/PhD medical scientist training program, PhDs and master’s degrees in anatomy and neurobiology, biomedical sciences, genetic counseling, epidemiology, environmental health sciences, pathology, pharmacology, physiology and biophysics, and translational sciences. Medical students also may pursue an MD/MBA program, a combined MD/Master's in Public Health or a dual MD/master’s program called the Program in Medical Education for the Latino Community (PRIME-LC). UCI School of Medicine is accredited by Liaison Committee on Medical Accreditation (LCME), and ranks among the top 50 nationwide for research. For more information, visit: som.uci.edu.